Any serious runner understands the immense benefit that cross training has on the body and its performance. Whether it be biking, swimming or yoga, cross training possibilities are endless. One of the best complements to any running routine is hot yoga. Hot yoga incorporates the traditional yoga poses and breathing exercise but adds the element of heat. With a typical hot yoga class averaging approximately 90-100 degrees, this workout is destined to work up a sweat. BREATH REGULATION: More than any other type of physical activity, hot yoga relies on proper breath control to lead the movements and flow through class. Any runner understands the value of learning to focus on breathing, especially during those last few grueling miles on a long-distance run. Practicing hot yoga trains your body to rely on its breath for assistance in physical endurance activities which makes it an invaluable activity for runners. FOOT STRENGTH: The balance exercises practiced in hot yoga classes help to strengthen feet. These yoga moves also make feet more stable and able to stand up to the pressure of taking the brunt of running. INJURY PREVENTION: When working toward a running goal, it is easy to get caught up in the achievement of those distance and speed milestones. 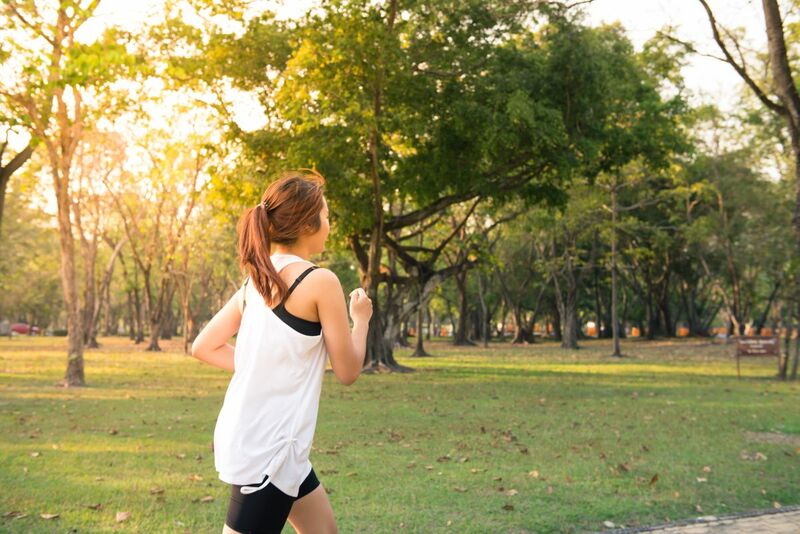 Stubborn runners can tend to run through injuries or simply ignore them altogether. Practicing hot yoga forces the focused runner to slow down and listen to the body. This can help to prevent injury or stop you from making an injury worse. The stretching you perform during yoga also plays an important part in injury prevention by increasing flexibility and balance while tending to sore muscles. BUILD STRENGTH: Hot yoga classes are an ideal way to build overall body strength. Not only will these exercises vastly improve your core strength, but they will also increase leg performance capability. Stronger runners are faster runners so building strength and practicing yoga are always important. HEAT ACCLIMATION: The high temperature during hot yoga raises the heart rate, increasing cardio output and leading to a more strenuous workout. This added pressure to the body is excellent training for running, as it helps to teach the body to cope with added physical stress and higher temperatures. By acclimating your body to the heat of a hot yoga studio and teaching your body how to adapt, you will find that runs in the heat will naturally become easier. MINDFULNESS: Practicing yoga leads to a state of zen and mindfulness. Experienced yogis understand the power that comes from getting in touch with your body by linking mindful movement with breath. The encouragement that is naturally part of yoga's core values will translate to the running world as you use the mental strength you learned in the yoga studio to propel you to the finish line of any race. At The Hot Yoga Spot, we offer yoga classes for both beginners and advanced levels students. Click here to learn more about our studio locations and sign up for our new client special!